Wayne Densch Charities is donating the Wayne Densch Center for the Homeless, a transitional housing community near Eatonville, to Florida Hospital, which in turn has partnered with Ability Housing to transform the community into permanent housing and make significant renovations. Mayor Jacobs of Orange County said the county is projected to contribute $2 million to the project, which will allow Ability Housing to renovate the property and use as a permanent supportive housing model. 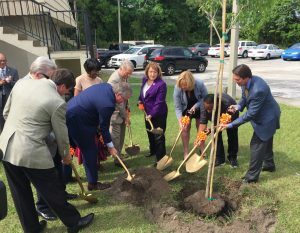 In late 2014, Florida Hospital made the largest donation of its kind in Central Florida by committing $6 million to impact chronic homelessness in the Central Florida region, by supporting the “housing first” model. Orange County is the single largest funder of public services for the homeless in Central Florida, currently allocating more than $7 million in direct funds. This project is part of the county’s initiative to create more affordable family housing, and also serves as an example of the continued commitment by Orange County to help families and individuals exit homelessness into permanent housing. Ability Housing has been serving the homeless and people at risk of being homeless for 25 years. The nonprofit organization currently provides affordable and supportive housing to more than 350 formerly homeless and at-risk families and adults with disabilities in Northeast Florida. At the request of the Central Florida Commission on Homelessness and with the support of JPMorgan Chase, Ability Housing expanded to the Orlando area last year.